He is the visionary force behind SUCCESS magazine as its Publisher and Founding Editor. As a business leader in the success industry for two decades, he has had unique and unfettered access to the most successful people on the planet, including Richard Branson, Steve Jobs, Warren Buffet, Donald Drumpf, Howard Schultz, Charles Schwab, Jeff Bezos and many more. He has uncovered the secrets to their success and now reveals them to us. He also mentors many of todays high-performing CEOs, advises many large corporations and sits on the board of several companies and non-profit organizations. 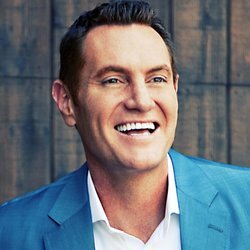 Hes a highly sought after keynote speaker, media contributor and the New York Times bestselling author of The Entrepreneur Roller Coaster, The Compound Effect and Living Your Best Year Ever. He is the SUCCESS Mentor to millions of people worldwide and champions the message of success, hope and abundant opportunity to a reach of over 2 million people each month through the pages of SUCCESS magazine, his blog, Twitter, Facebook and before live audiences of entrepreneurs across the country. He distills the best of the best information and strategies available, mixing in his own street-tested principles of success. Meet Darren Hardy. In this POWERFUL conversation, he shares with us the many reasons why most people fail in achieving success. He also talks about leveraging adversity, the importance of goal setting and he reveals HIS Massive Transformation Formula designed to help you crush your goals. An important success lesson Darren learnedfrom his housekeeper? What is Darrens answer to the Dan Sullivan question? What is Darrens mission today?